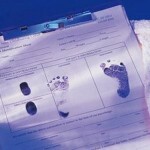 Very few people know the ramifications, consequences and freedoms that come with a birth certificate. Let’s say for a minute that you are a transgender person — an individual who was born the wrong gender. You’ve seen a doctor and received hormone-replacement therapy, opting not to get gender reassignment for your personal reasons. The day you’ve been waiting for has finally come where you get to update your legal documentation to reflect who you are. Perhaps you hire a lawyer to help you navigate the arduous and antiquated laws of legally changing your name, or you seek out the assistance of one of our local nonprofits like Mazzoni Center. You get an affidavit from your doctor that confirms your hormone-replacement therapy, in order to change your records with the U.S. State Department. And yet, when it comes time to change the ultimate form of identification — your birth certificate — you are unequivocally unable to do so without undergoing gender-reassignment surgery. The birth certificate is where all forms of identification originate and it is considered to be the gold standard of documentation.